This morning was my Grandmother’s funeral, and it was a beautiful morning for it. The music at the church service was fantastic, and it was so fun to see how many people in the community had known and loved her. There’s something to be said for living in the same area for 85 years. 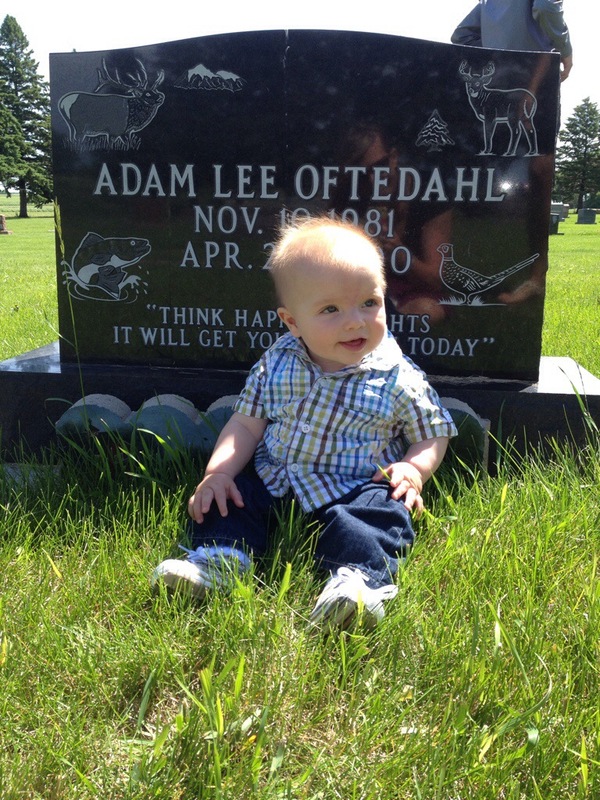 After her interment, we walked over to my cousin Adam’s gravesite. He died 14 years ago when we were just 18. He is the reason Harvey’s middle name is Adam. It was surreal to be back in that space and feel like it was just yesterday that we were burying my friend and cousin way too young. I’m so thankful that my Grandma had a long life filled with family and friends. So sorry for your loss. I really good this is the last good bye for a long time. What a special trip this has become for you. You will remember forever that first trip you took with just you and your boy. We’ve experienced a death over our way as well and it is HARD! On the upside, your boy looks SO CUTE!! !